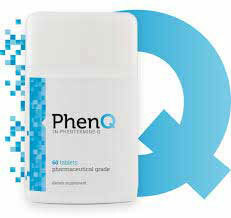 Phenxtreme is diet pill brought to market by SuppleSense. The head office is based in Florida. Other than that not a lot is known about the company. What is Phenxtreme and How Does it Work? There is not much information provided about how the product is likely to achieve the things it is supposed to be capable of but, if it boosts the metabolism, it should allow users to burn calories faster than normal. If it also suppresses the appetite it will help people not to stray from the constraints of a calorie controlled diet. The combination of faster calorie burning and less calories entering the body may produce a situation where the body is forced to start burning its stores of fat to attain extra energy. That would certainly help users to lose weight, but it could also lead to feelings of fatigue, so Phenxtreme contains some caffeine to help prevent this from becoming a problem. Each (2 capsule) serving provides 2mg of Vitamin B6, and it’s a worthwhile inclusion because it can help ensure an efficient metabolism. Phenxtreme also contains a further 11 ingredients, but the inclusion rates are not known because they are housed in a proprietary blend. Caffeine anhydrous: A popular stimulant that is good for giving flagging energy levels a boost. Research shows supplementation with caffeine can boost the metabolism and encourage thermogenic fat burning, so it’s a good ingredient to have, but its presence here may make Phenxtreme unsuitable for people who do not tolerate stimulants well. Schisandra fruit: A medicinal berry that is believed to offer a number of health benefits, but has probably been added here to help keep blood sugar levels under control. Schisandra is often credited with this ability, but further study is needed. L-Arginine: An amino acid that if often added to muscle building supplements and is also believed capable of improving the body’s ability to burn fat. Beta alanine: An amino acid that is good for boosting endurance and assisting with muscle growth. Although Beta alanine is unlikely to directly contribute to weight loss, it may help provide an improved workout experience and people who workout harder will burn more calories as a result. Guarana seed extract: A fruit that grows in the Amazon basin. Guarana provides the body with a steady release of caffeine. The effects can last for quite some time so it is often added to diet pills and energy drinks. Uva ursi: A plant extract is often used as a remedy for bloating and water retention and may also help provide a detox. Capsicum: A very good addition to any dieting blend. Scientific study shows supplementation with capsicum can provide appetite suppression, but the ingredient is generally more respected for its proven fat burning abilities. Garcinia cambogia: A fruit-based ingredient that provides the fat-fighting chemical hydroxycitric acid. Garcinia cambogia can be very effective for appetite suppression. It also has the ability to restrict the growth of fresh fat cells. Raspberry ketones: Another fruity fat-fighter with a good reputation for getting results. The data obtained from a study conducted by a research team in Korea suggests raspberry ketones’ success as a dietary aid may be due to its ability to increase lipolysis and fatty acid oxidation. Green coffee bean extract: Another source of caffeine. Green coffee bean extract also contains a compound called chlorogenic acid that assists weight loss by regulating blood sugar levels and encouraging thermogenic fat burning. Tribulus terrestris: A plant extract that is often added to testosterone boosting supplements. It’s abilities in either area are far from being proven, but there appears to be a link between testosterone and fat burning so its presence here may not be without value. Two capsules are required two times each day. Both doses should be taken with an eight ounce glass of water and users are advised to increase the amount of water they drink each day. 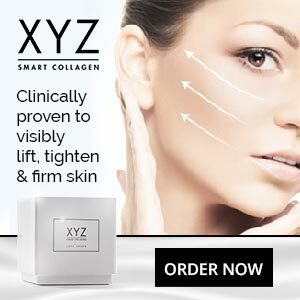 It is no longer possible to find any customer feedback for this product because the Amazon sales page has been removed. No side effects are mentioned, but the formulation contains several sources of caffeine. 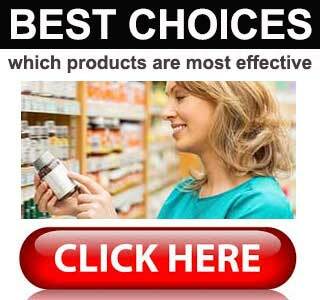 This may make the pills an unsuitable option for anyone who does not tolerate stimulants well. Phenxtreme is unlikely to be suitable for women who are pregnant or nursing a child. People who have existing health problems should always ask the advice of their GP prior to using any brand of diet supplement or embarking on a weight loss regimen. The same advice is offered to people who are using medication. Phenxtreme used to be exclusive to Amazon, but the sales page has been removed and, when we visited the SuppleSense website, all we found was an error message. This suggests the company may no longer be trading but, at the time of this review, it was still possible to buy Phenxtreme via eBay, at a price of £14 per bottle. That’s not expensive at all, but if the company has stopped producing the product, and this does appear to be the case, the pills available on eBay may be counterfeit. Looking at the formulation, Phenxtreme may very well have the potential to enhance weight loss, but the product appears to have been discontinued. Even if the supplies available on eBay are genuine, there is no money back guarantee so we suggest dieters choose another product instead.